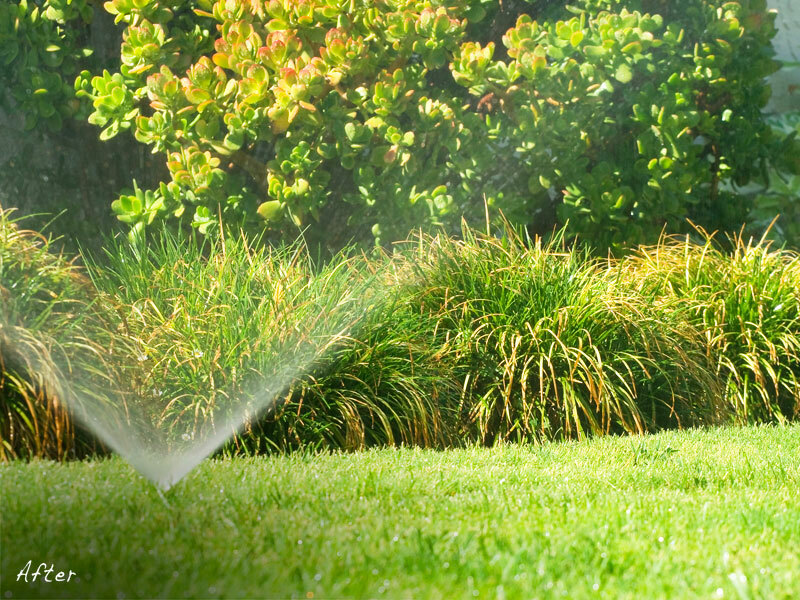 We are a full-service lawn and landscape company, offering all aspects of lawn maintenance, landscaping, stonework, tree, shrub care, irrigation installation and repair and seasonal color. Specialize in a clean and quick landscape installation, Installations done by a clean and experienced crew, New installations and landscape renovation, Plant relocation / Transplants, 6 month guarantee on all installed plants (must have a working irrigation system), If you sign a 1 year maintenance contract we will guarantee all installed landscape plants for 1 year. 2 D and 3 D Computer Aided Designs (not hand drawn), New build and site planning, Landscape renovation design and consulting, Specializing in Native plant material and shade gardens, 25 years experience in North Central Texas, *There is a fee for designs which is refunded if the project is completed by Glennscape LLC. Interested in our work? Send us a message! During the spring of 2009, we turned our thoughts to planning some much needed landscaping in the back yard of our new home. The plan we had envisioned was beyond our ability and time constraints, so we decided to seek out the services of a local landscape company. Glennscape Landscaping came immediately to mind. Glennscape had been responsible for the lawn care in our community and we knew the quality of their work, so they were our first choice. The Glennscape crew was pleasant to work with. They were considerate of our neighbors whose property they had to use to access our property. The work was done in a timely fashion, staying on schedule and completing on time. They were very conscientious about leaving the area in good shape and ready to use when they departed. The follow-up contact with us is above and beyond and represents fantastic customer service. I would recommend Glennscape for all landscaping needs from lawn care to extensive projects. They are a top-notch company run by people who care about the job they do. In the past I have exhausted many hours walking through various local nurseries to locate plants that will grow well and provide a low maintenance landscape. Needless to say, I wasted a lot of money with no satisfaction. I finally decided to seek professional advice and consulted with Jathan. We worked on a plan that could be installed in phases and was within my budget. Once work started, Jathan and his crew would always arrive at their scheduled time, were very professional, and exceeded my expectations! I highly recommend Jathan and his crews to provide the landscape you’ve been dreaming about. I am very pleased with GlennScape’s work performed on my back yard and would recommend their services. 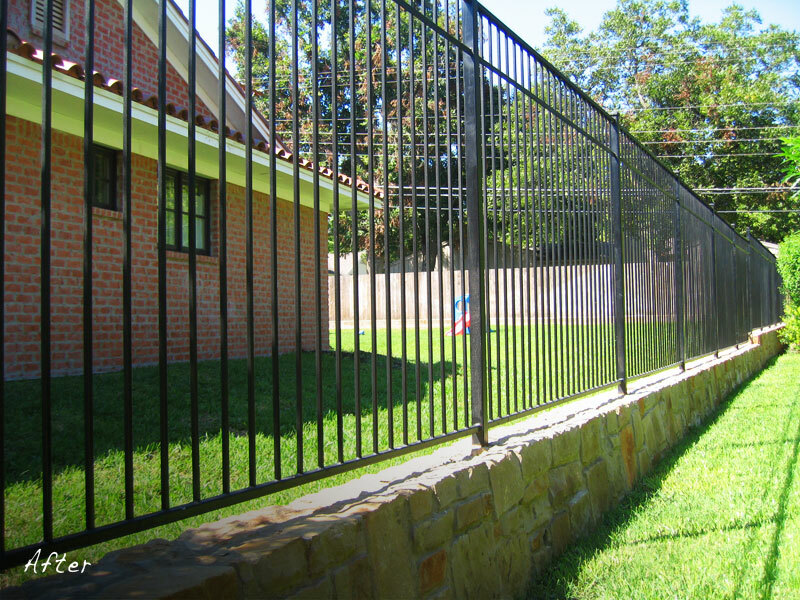 The work was clearly defined, the quality of the materials used was superb and the work was completed in a timely manner. GlennScape has been attentive to follow up on making sure the landscape was performing as designed and has dealt with all follow-up issues in a professional manner. If you are considering a new landscape or simply refurbishing an existing landscape, you would find it easy to work with GlennScape. We have used GlennScape for the past four years, and we are consistently pleased with the company’s service and maintenance. Plus, we receive numerous compliments on our landscaping – our yard is by far the most beautiful and well-maintained on our street thanks to GlennScape. Our neighbors tell us often how happy they are to live across the street and to see our fabulous landscaping each day! 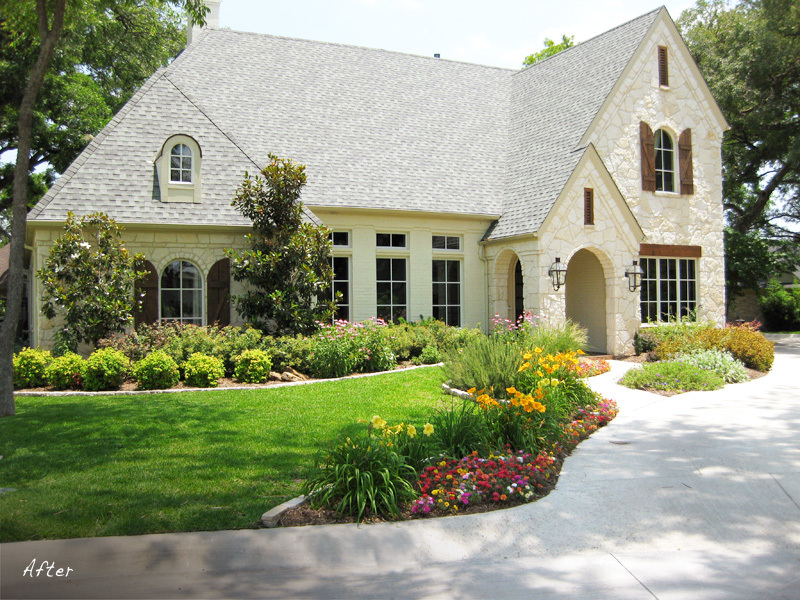 With our busy schedules, it is wonderful to trust GlennScape to maintain and landscape our yard with the utmost care. Jathan and his landscape architect met with us as we were building our new house to help us create a landscape design that would compliment its architectural features. They took into consideration our wants and desires, and helped create a plan that would work well in our soil, watering, and lighting conditions. They have continued to follow up on our plants to ensure they are thriving in the often difficult Texas growing conditions. We were so pleased with their initial services that we decided to use their landscape maintenance program for our weekly lawn & landscape needs as well. Jathan and his crew are prompt and courteous in the service they provide. If he does not know the answer to our questions, he is quick to consult his resources and get back to us with a solution. We would definitely recommend his services to anyone looking for new construction landscape and/or established landscape design and maintenance. Glennscape’s maintenance and landscape service gave my business the professional look it needed. Having quality service with on time reliability is most important in keeping my business looking professional and well maintained. Glennscape provides everything I need to keep the lawn and landscape in top shape. Our experience with Jathan Glenn and Glennscape has been exceptional. We merely gave him a general idea of what we were looking for and asked him to design something he might do for his own home. His team measured the property, determined the sun/shade patterns and produced a landscape blueprint for our approval. We made some minor changes and gave him the go-ahead. The results were better than we imagined. His team worked quickly. In just a few days they built the retaining wall, modified the sprinkler system, planted trees/shrubs/flowers, and mulched our beds and gardens. We couldn’t have been more pleased. Jathan has continued to monitor his work, making suggestions on seasonal plantings, which combine our own color and varietal preferences with his knowledge of the soil and growing conditions in north Texas. The results speak for themselves. 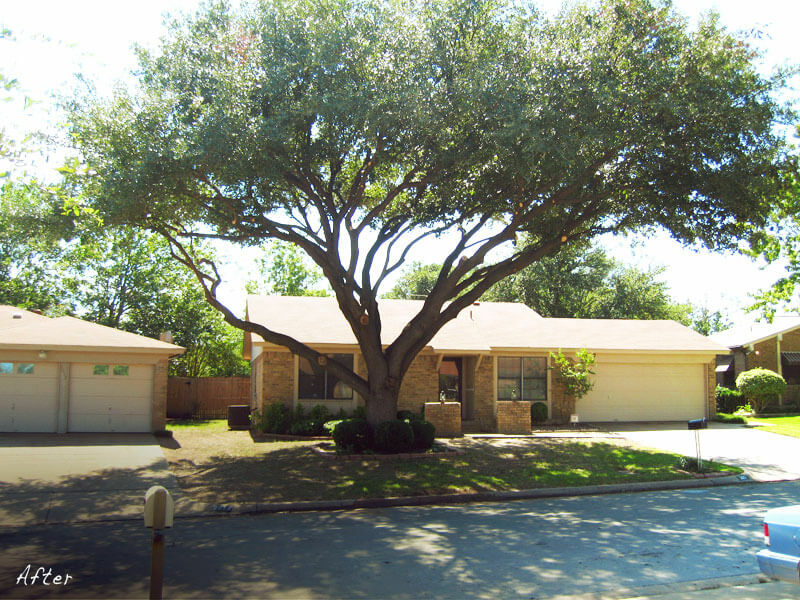 We’ve lived in Forth Worth since 2005, and using Glennscape for our gardening requirements has been one of our best decisions! Jathan Glenn transformed our yard. He re-formed our flower beds in both front and back yards in a most attractive manner. We receive compliments from our friends and neighbors. He seems to have a sixth sense in this regard. And, he is honest “as the day is long.” His integrity is his bond. Glennscape developed a beautiful and carefree landscape. 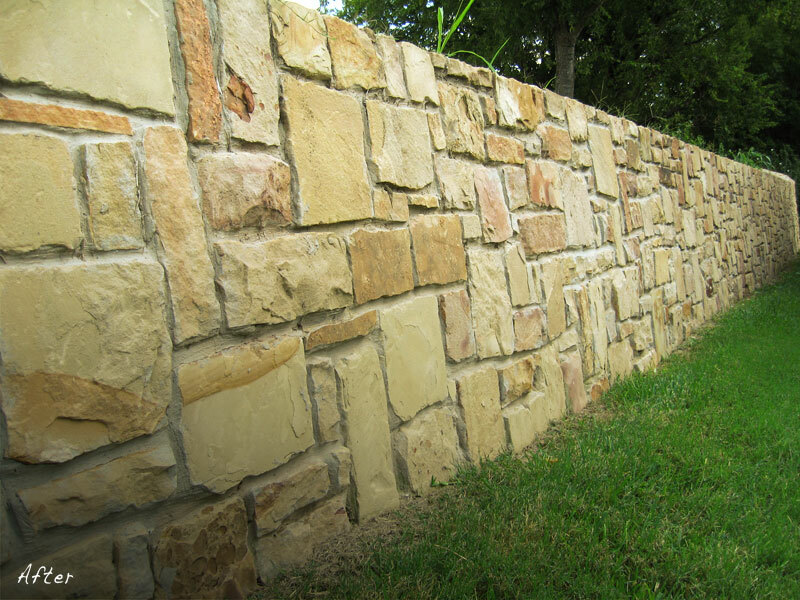 The stone edging makes a great border and adds depth to the front yard. The back yard has become my escape. I can’t believe the change! I absolutely love spending time in my back yard now. Glennscape came up with the perfect mix of easy-care plants with great showy color. unpredictable Texas weather. I’m glad we used them. Glennscape is a member of the above organizations.